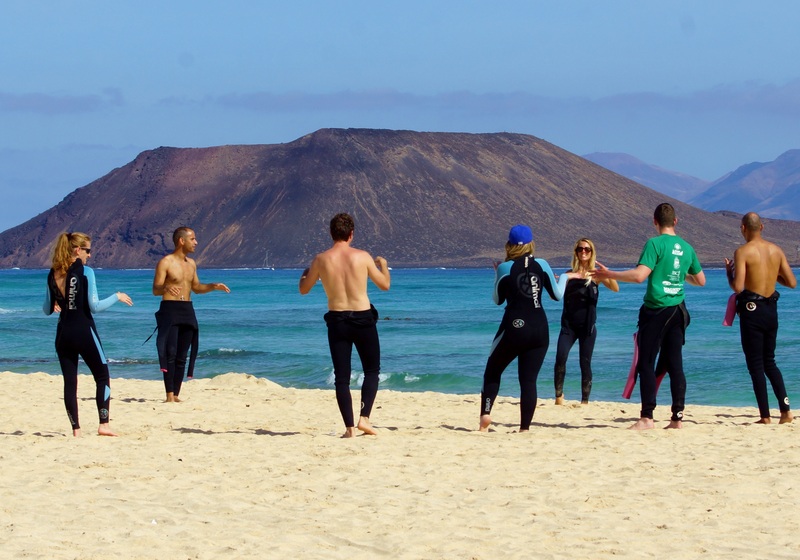 Year-round sunshine and fantastic waves for all abilities are just some of the reasons why you should head to a surf camp in Fuerteventura. 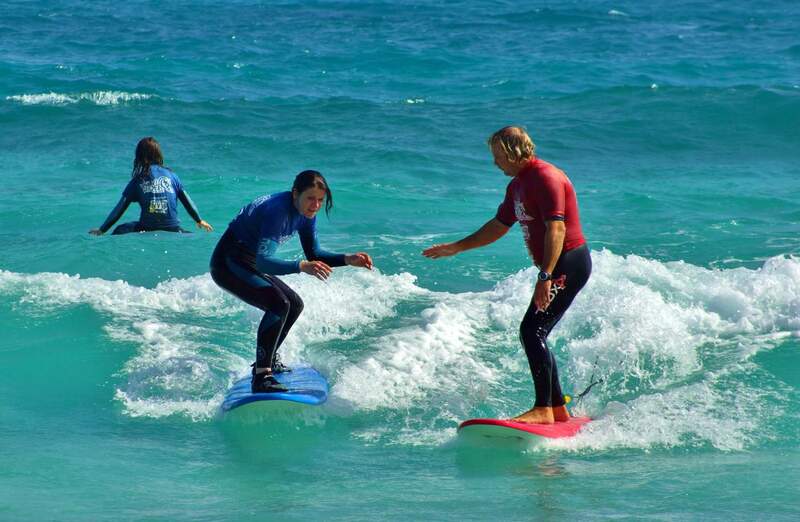 Just a four-hour flight from the UK and home to some of the best beginner waves in Europe, a Fuerteventura surf holiday is the perfect escape for families, couples, friends and solo travellers. Immerse yourself in the laidback lifestyle and explore the rugged terrain, beautiful coastlines, delicious restaurants serving up fresh seafood and thirst quenching drinks and, of course, the waves! 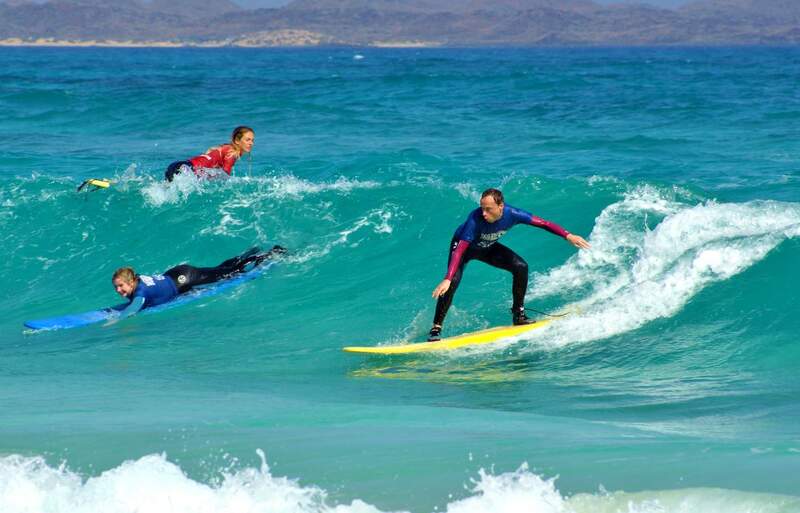 While surfing in Fuerteventura is best known for its heaving reef breaks, you’ll be surprised to know there are some very beginner friendly waves waiting to be surfed. The Area: A charming fishing village that has a host of seafood restaurants and bars that offer the perfect place to replenish and relax after a day in the Fuerteventura surf. The town compromises of traditional fisherman style cottages and architecture, mixed with boutique hotels. Type: Left and right hand walls that break over a sand bottom. Best surfed on an incoming tide between mid and high tide. Weather: Fuerteventura enjoys a semi-arid subtropical climate, with temperatures rarely dropping below 20ºC and little rainfall. Fuerteventura has the best amount of sunshine of all the Canary Islands, with an average of 2,938 hours a year! Summer highs can regularly top 32 ºC, with the sea temperature reaching 24 ºC making a spring suit or boardie’s with a wetsuit rash guard the best bet for these months. Winter temperatures are still very pleasant with air temperatures ranging from 18 - 22 ºC and the sea temperature hovering around the 18 ºC mark. A 3/2 is more than enough at this time. The Area: Las Palmas is a quiet and peaceful former harbour village that is extremely popular with ocean lovers, foodies and those who enjoy the tranquility. There is a wide variety of traditional tapas lounges that will fill you up and keep you entertained as you watch the world go slowly by. Beach: The white sand beach that has some of the clearest water you’ll ever see; El Cotillo’s renowned lagoons are the perfect place to relax in as you take in the fantastic views. Type: Cotillo’s beach break packs a bit more power than the other beginner beaches, so it’s the perfect spot to head after a few Fuerteventura surf sessions where you have gained some experience. North end offers some N-NE wind protection and can produce good right handers when the banks line up. Weather: Summer temperatures range from 22 - 31 ºC, with winter seeing conditions between 16 - 25 ºC. The Area: Also situated in Corralejo. Beach: Popular beach amongst tourists and locals with great facilities and friendly atmosphere. Don’t be surprised if you get roped into a volleyball game or beach football! Type: El Hierro has two main peaks that break over a deep volcanic reef below, offering a couple of metres of water for protection. The left is faster and has a slightly more powerful wall that is ideal for manoeuvres, the right is shorter but can offer up a few pockets for practising your turns. Best Time: Spring, summer and autumn. The Area: Situated in Corralejo. Beach: Beautiful beach and tidal reef with a host of facilities and amenities. Type: A reef break that breaks in plenty of the water, big outside peaks reform into manageable lefts and rights on the inside. A good spot to head to when the North Track has a big swell pouring in, best surfed from mid to high tide. The slow walling lefts are perfect for a longboard or mini-mal. The Area: Situated in the beautiful Parque Natural Corralejo, this is arguably one of the most beautiful stretches of coastline on the Canary Islands, if not one the most picturesque beaches in the world! 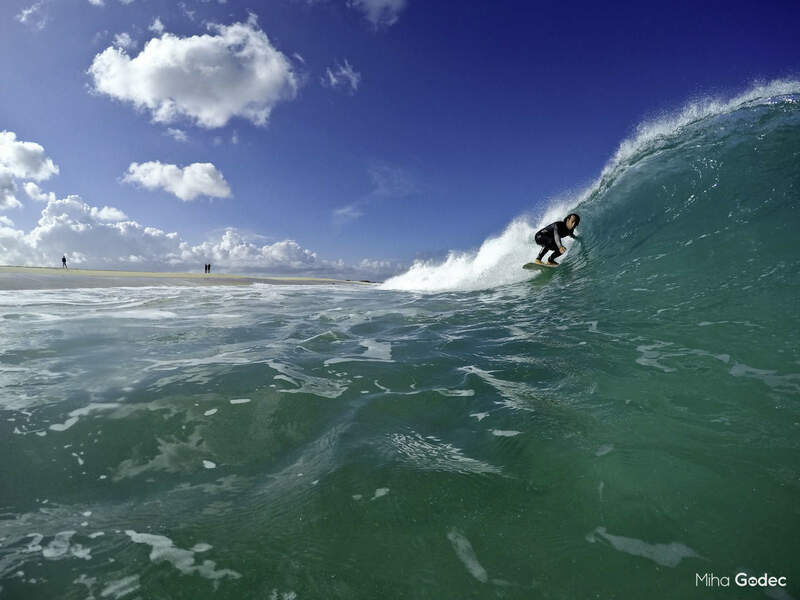 White sand, turquoise waters and the ability to find your own stretch of paradise all to yourself makes this one beach you should head to when surfing in Fuerteventura. Beach: Jaw dropping nature reserve offering up miles upon miles of white sand and azure blue waters. Type: Left and right hand beach break peaks can be found up and down this stretch of beach, very consistent in summer due to trade NE winds. For more power, head here after low tide for a pushing tide that sports some steeper walls. Best Time: Spring and summer. 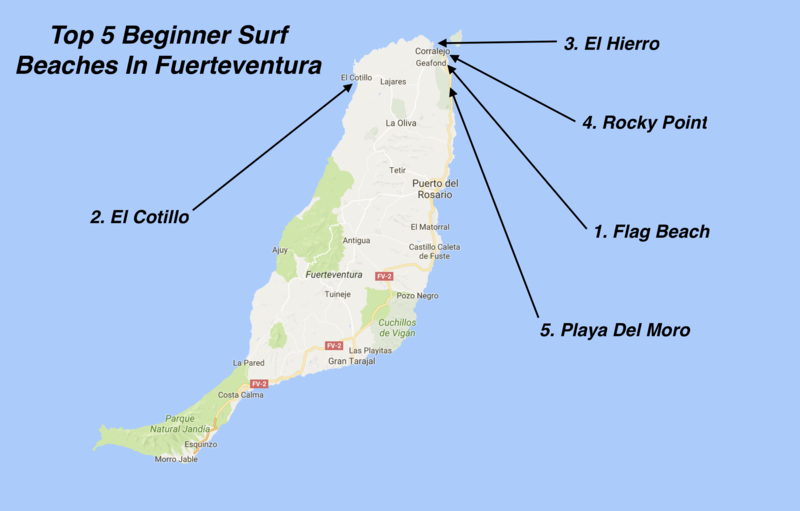 If you have enjoyed our guide to the top 5 beginner surf beaches in Fuerteventura read our guide to the best beginner beaches in France here. 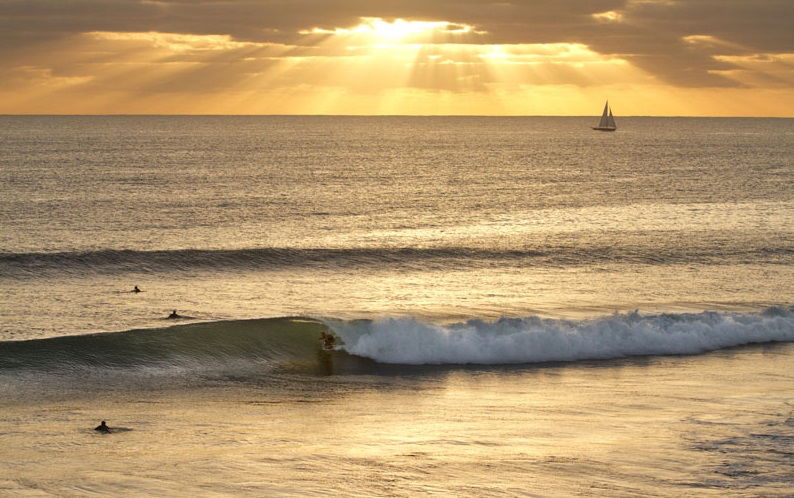 Find the Best Surf Spots and Accommodation in the World's Top Surf Locations. 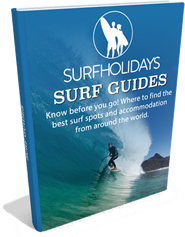 Enter your name and email address below to get Instant Access to ALL our Surf Guides.